For many high school graduates, applying to a good college or university can be a scary yet exciting prospect. This is the time when most incoming college freshmen are expected to make a great impression so they’ll be accepted into the academic institution of their choice. 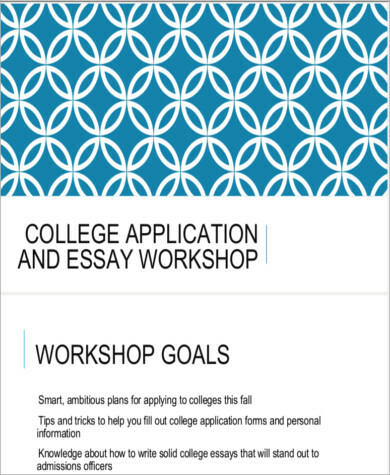 One of the key elements that carries significant weight in any student’s college admission is the application essay. Many young adults find this hurdle to be quite daunting to overcome while fearing that a poorly written essay could jeopardize their chances for entry. 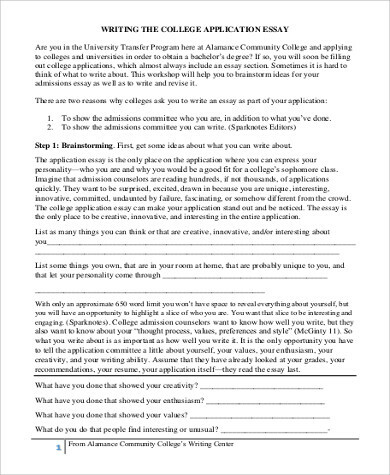 But with the help of these Sample Application Letters featured below, you’ll be able to conquer this challenge with ease. 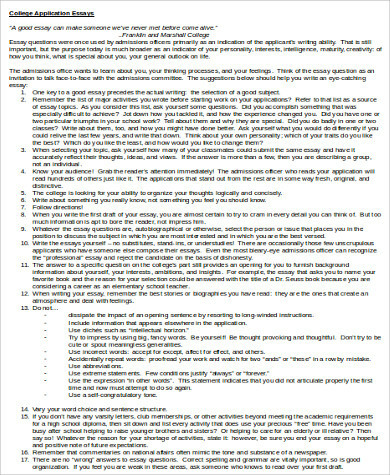 The first thing you need to remember is that colleges and universities will always post their admission requirements, and it is the responsibility of the applicants to note them all down, particularly the parameters of writing their essay. 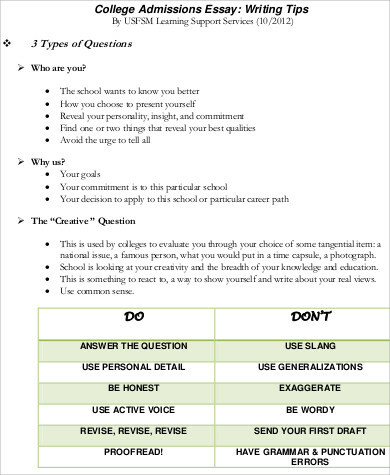 The content or subject matter of an application essay varies from school to school; some institutions might pose a question that requires an in-depth answer whereas others may prefer an alternative approach like allowing students to write about whatever topic they feel most passionate about. Whichever the case may be, you should be mindful of the essay requirements so you will have ample time to prepare your composition. Once you have all the pertinent details, the next step is to proceed with creating an outline while engaging with research preparations. An outline functions as your guideline or anchor so you won’t be distracted by writing things that aren’t essential to your admissions essay. Keep your outline streamlined and organized so you’ll have everything under control. A good example of this is to place core ideas or topic summaries in neat and categorized numbered lists. For more helpful references, you can take a look at some examples of Target Job Applications right below. 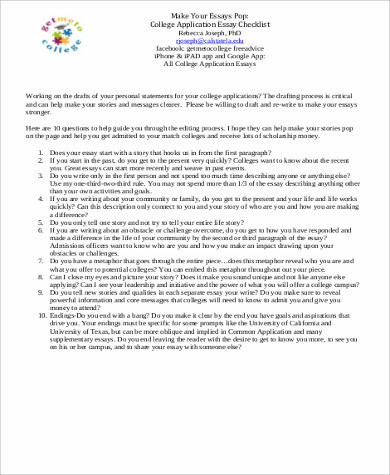 Other vital considerations to remember when writing your college essay is to stick to important details like word count, formatting conventions, and submission deadlines. Most schools are very particular when it comes to things like font size, paragraph spacing, and other related matters pertaining to the aesthetics of writing. Never deviate from any given style guidelines since they are there for a reason. Never forget to double check your work by proofreading it several times so you’ll be confident that you followed the rules. When in doubt with technical elements like grammar and spelling, have an editor look over your essay for any possible corrections. Above all, the key thing to take away from this process is to write with both passion and knowledge in your words. Admissions officers can tell when students are merely phoning it in on their college essays, so don’t take this opportunity for granted. Use every available resource at your disposal wisely so you’ll end up with an impressive application essay that will surely go a long way to increasing your chances of admission. With these Blank Employment Application forms and other related materials as your guidelines, you will certainly succeed in your university application endeavors.